Lying, Falsehoods and Deceptions are sin. Use this Kingdom Advancement Tool to learn and teach how to stop lying, falsehoods and deception. LYING, FALSEHOODS AND DECEPTIONS are sin. They were the first combination of sin that devil delivered to Adam and Eve in the Garden of Eden which led to the fall of the first Adam and man. This eventually led to God sending Jesus Christ down in the form of human as the second Adam. 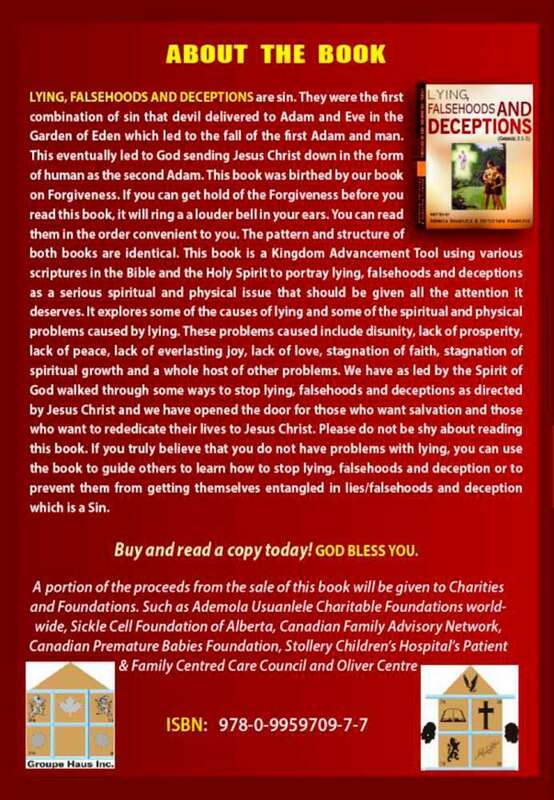 Lying, Falsehood and Deceptions by Ademola and Christiana Usuanlele was birthed by our book on Forgiveness. If you can get hold of the Forgiveness before you read this book, it will ring a a louder bell in your ears. You can read them in the order convenient to you. The pattern and structure of both books are identical. This book is a Kingdom Advancement Tool using various scriptures in the Bible and the Holy Spirit to portray lying, falsehoods and deceptions as a serious spiritual and physical issue that should be given all the attention it deserves. It explores some of the causes of lying and some of the spiritual and physical problems caused by lying. These problems caused include disunity, lack of prosperity, lack of peace, lack of everlasting joy, lack of love, stagnation of faith, stagnation of spiritual growth and a whole host of other problems. We have as led by the Spirit of God walked through some ways to stop lying, falsehoods and deceptions as directed by Jesus Christ and we have opened the door for those who want salvation and those who want to rededicate their lives to Jesus Christ. Please do not be shy about reading this book. 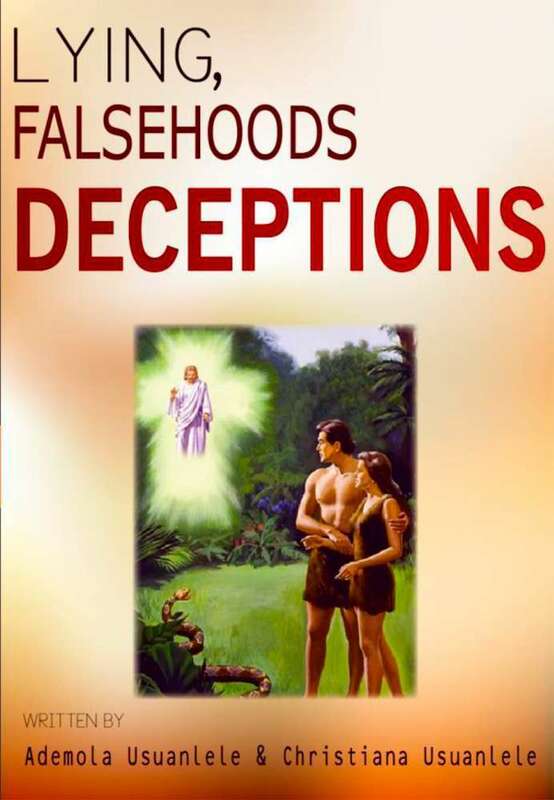 If you truly believe that you do not have problems with lying, you can use the book to guide others to learn how to stop lying, falsehoods and deception or to prevent them from getting themselves entangled in lies/falsehoods and deception which is a Sin. Buy and read a copy today! GOD BLESS YOU.